Register Log In Britbike forum Forums The triple forum '74 t150 motor "tight"
72 registered members (Alan_nc), 412 guests, and 276 spiders. finally got back to work on the 150, new motor, and amoung other problems it feels tight. Before I buttoned it up I could turn the crank with a wrench and it felt normal. but after fitting the priamry, somethings not right. I can kick the motor thru with my foot, but even with the plugs out I can not work the kickstart lever by hand nor can I spin the motor by putting it in 4th gear and spinning the wheel. I think the problem has to be between the chain wheel and the trans but this is only the second triple I've worked on so I need you to guide me. Part 2. The bike came with a new Sparx EI aready installed so i decided to try it. But I have no faith that it will work. other than points and Trispark, what do you recommend for ingnition? Did you replace the high gear bearing and/or the hi gear itself? There are two different widths of bearing out there and interchanging the bearing or hi gear will cause the bearing to lock up once you tighten down the sprocket. Been there, done that. Maybe primary chain alignment might also be an issue. Take a look at the primary chain through the inspection hole and make sure it has some slack. If it is tight something is wrong. I am impressed with the VAPE ignition sold through Wassel. Priced right, nice build quality and works great. My A65 came to me with the Sparx iginition. Works fine until the tiny nuts used to attach the trigger wires loosen. You might want to solder the screws to the pickup plate and dab some paint on the nuts once tight. I've never used any EI on a Trident but the Lucas Rita and my current Tri Spark. The Rita was excellent. I've only had the TS for a short time. In any case, the points will drive you nuts trying to keep all three adjusted. A newly rebuilt T150 will not spin all that readily. Simple things first---does it kick over easily with the clutch lever pulled in? You should be able to turn the engine over using the rear wheel in top gear with the plugs out. If you cant do that and the gear box turns OK as explained above then I think that you have got to get into the primary. On a T150 I have used points, Lucas Rita, Boyer Mk III and Boyer Mk IV. The Boyer Mk IIIs are sensitive to low voltage so best avoided. The Pazon is similar to the Boyer so that should be OK.
No personal knowledge of Sparx or VAPE/Wassell. Mixed experience with Boyer on a T160 so am in the process of fitting a Trispark to one of my T160s. Excellent experience with Trispark, for the last 3 years. ^^^ that means your warranty has now run out ...cos Steve Kelly told me they offer a 3 year warranty on their products. Here is a copy of some info from Phil Pick on the hi gear issue. I have some pictures somewhere that I can post if I can find them. OK, it could be said that if one part required replacement for *any* reason then the other would not bear a wearing 'match' to it. . . . . but hey, we've been putting bikes together from parts that have had different amounts of use for years! 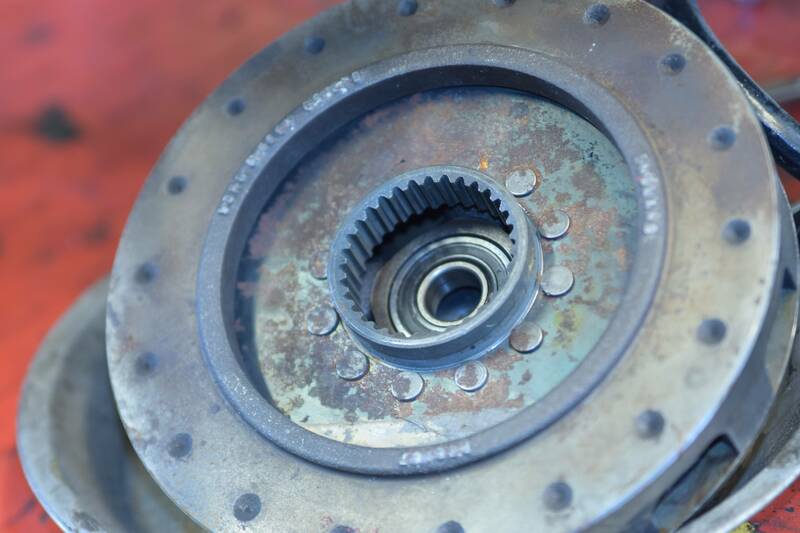 The sleeve gear/bearing combination could be fitted in any 5-speed gearbox of the period. Extra features (such as the '0'-ring groove to allow sealing of the splines, together with the chamfers sprocket that goes with it) came in over time, but this still didn't stop sleeve gear/bearing *sets* being fitted to any bike. However, later on in production I'm guessing that enough time had passed and a BSA/Triumph decision was made to offer the sleeve gear (under a late part number) and the bearing (under the 60-4100 part number) as separate items. Of course this bearing (being slightly narrower in the rollers) would give excessive (and dangerous) end-float if used on a very early sleeve gear, and a 'narrow' sleeve gear if used in a wide roller bearing will lock-up. So, with suitable fitting skills all problems can be identified. I hope that was of interest. I bought a Rita for my 73 T150V when they first came out and it worked great. Bike became a one kick starter. Also used a Boyer for a few years but could never get it to run properly.Tried all the troubleshooting before I just got tired of it. Also ran points on different triples for many years but they are a little tricky to set up. Have not done that in a long time. There were three different brand roller bearings used. Search for "RHP Hoffman" with my name and you will find several posts about it. "in 4th gear" - you only have a 4 speed? The previous comments on the high gear and bearing do no apply. Can you turn over the rear wheel in all the gears with the clutch pulled in? Then there is no serious gearbox problem. Short or long chainwheel spider? Thrust washer behind chainwheel? Oooppps, I meant 5th gear. Ok, I just went out to the shop. I can NOT turn the rear wheel with the clutch pulled in when in gear. I guess I know what I'm doiing after work, what do I look for in what order, or do I jiust tear the primary and trans down and start over. need to add that the clutch is disengaging when in neutral, I pull the lever and kick, it is free. Last edited by Richrd; 04/11/19 1:22 pm. Cannot turn over the gearbox with the rear wheel in ANY gear? In neutral, turning the mainshaft with the kicklever turns the 1st, 2nd and 4th gears. Tie in the clutch lever then try turning the mainshaft with the kicklever in these gears and try turning the rear wheel in 3rd and 5th. If you cannot get past 2nd because the mainshaft is locked you will have to remove the primary cover, release the clutch and rotate the chainwheel back and forth using the hub nut. Presumably you can turn the rear wheel in neutral? 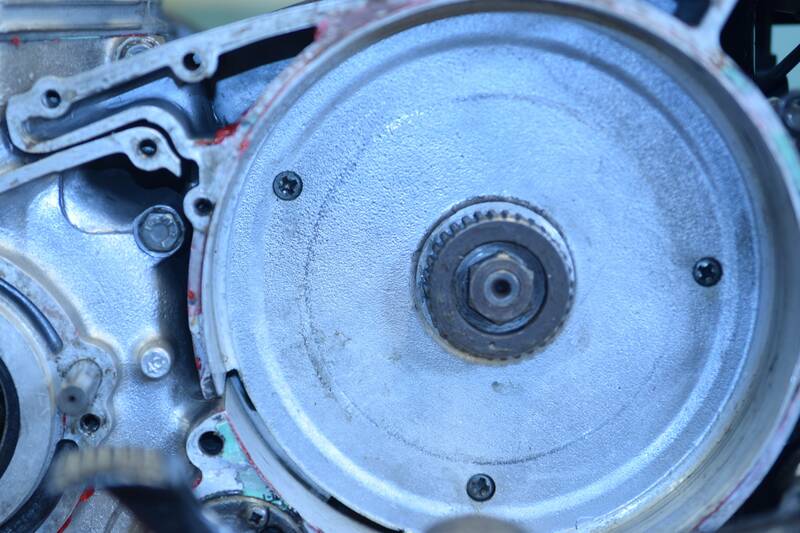 Remove the gearbox outer cover and check the kickstart gear ratchet on the mainshaft turns freely. Sometimes the sleeve gets crushed and locks it place.Then the kicklever gets driven by the ratchet and stays down. Remove the inner gearbox case and rotate the rear wheel back and forth whilst looking at the gears. You may be able to see the problem. 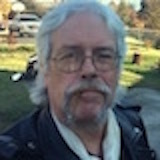 In any gear, the wheel is hard to turn, almost like a dragging brake, but the crankshaft is not turning. I will open the gearbox in a bit. So the problem is probably not in the gearbox but in the chainwheel/clutch. I sounds as though the clutch might be dragging on the housing. Crankshaft not turning means the clutch is slipping. Did you change any parts in the chainwheel/clutch? this was a bike in a box. all the parts LOOKED good, but there is no way of knowing if they all came from this bike or eBay. that plus the fact that this is my first triple and I really dont know what I'm looking at or for. I pulled the outter primary and put a socket on the crank and that part of the motor turned freely. I'll pull the inner primary/clutch cover tomorrow. Haven't put the clutch hoop spring in backwards have you? When you do > It's a very slim chance but it can happen ! ..
everything turns normal in neutral/ kickstart swings free with clutch in / motor turns with wrench on crank. in all of these the clutch is not turning. in the pics you can see that the raised letterss on the back of the clutch basket were rubbing on the inner case when the chain wheel nut was tightened. So help me one more time (at least), is there susposed to be a washer or shim in here? and on a different note, I was looking a the rotor and there are 6 timing marks, three marked A and three marked B. why? Last edited by Richrd; 04/12/19 7:56 pm. Is it just me or does it look like there's a gap at the bottom of the ring round that piece? Using the manual that LAB posted take a look at illustrations C2 and C5 and compare. Sure sounds like a clutch/chainwheel issue. 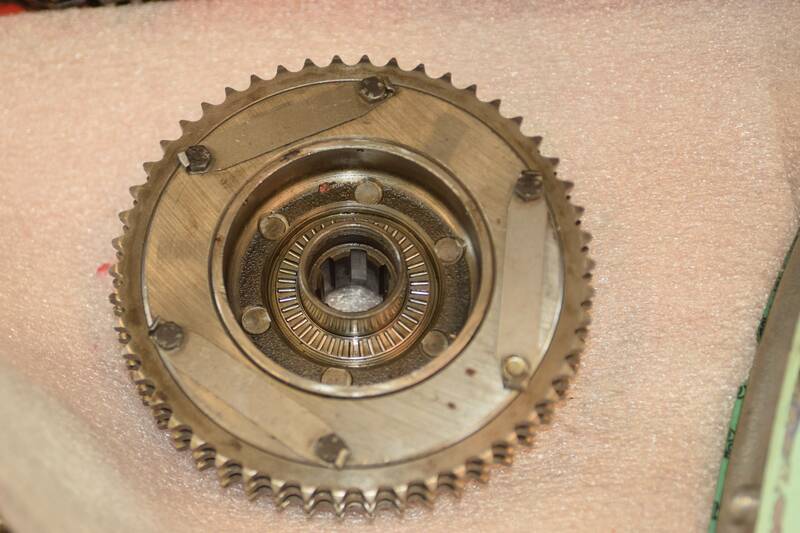 On the backside of the chainwheel is the snout that slides over the clutch splined shaft. This can measure 9/16" (early) or 7/8" (later). Should measure this and see which one you have. Are you referring to the gap at the base of the splines? The spline centre is separate and riveted into the clutch plate. The clutch and inner primary could not be bolted together with the long nose spider and spacer. Do you have the bronze washer behind the chainwheel? Without the pullrod in place the clutch back could hit the housing. Have you tried going through all the gears with the rear wheel? yes, I can get all the gears. Last edited by Richrd; 04/17/19 1:26 am. The needle thrust washer in the primary cover appears to have fretting. If it does you should consider replacing it along with the bearing. Looks like there could be shims behind the thrust bearing?